Setting conditions on residency and citizenship is not a violation of migrants’ human rights. Typically in our immigration debate, “open borders” is a label that those who advocate tighter controls (or better enforcement) attach to people who don’t want it. 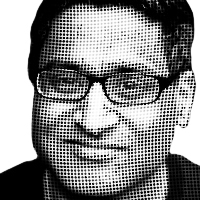 Farhad Manjoo has broken this pattern by adopting the label for himself with enthusiasm, indeed evangelical zeal. Charles Cooke has criticized several aspects of Manjoo’s New York Times essay already. The immigration system does not “assume that people born outside our borders are less deserving of basic rights than those inside.” It is compatible with thinking (as we should think) that people born outside our borders are equal in worth, dignity, and moral status with U.S. citizens. The system Manjoo is decrying assumes only a) that the basic human rights that all people have by virtue of being human beings do not include living in the U.S., being a citizen of the U.S., voting in U.S. elections, participating in benefit programs run by the U.S government, having their interests pursued as vigorously by the U.S. government as it pursues the interests of citizens, and so forth; and b) that the U.S. government has very limited duties to see to it that people who are neither U.S. citizens nor U.S. residents are able to exercise their human rights. Similarly, Americans do not have the right to emigrate to other countries regardless of their wishes, and those countries have no moral obligation to take us; if they refuse us, they do not thereby deny our basic human rights or treat us as lesser beings than their own citizens. On the other hand, those countries, and our country, have an obligation to make sure that their immigration systems treat people fairly. Thus a country that accepts immigrants should not bar people on account of their race; nor should it allow some people to cheat the system by entering unlawfully while others patiently obey the rules. The principle of human equality, including equality between Americans and foreigners, has real bite; in my view, U.S. foreign policy has included very serious violations of the principle. But the principle does not entail the radical implications that Manjoo thinks it does.